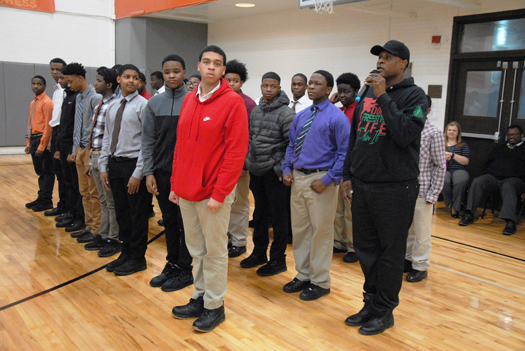 CHICAGO—Enoch Muhammad of Hip Hop Detoxx, a mentoring and activist group, took its empowerment message to the young men at St. Leo High School on the city’s South Side and engaged in dialogue and Black male development. Using a mix of music military drill exercises and discussions Brother Enoch and the other members of Hip Hop Detoxx captured the attention of the young men and talked about the power of knowledge, the importance of life choices and the need for good information and inspiration. 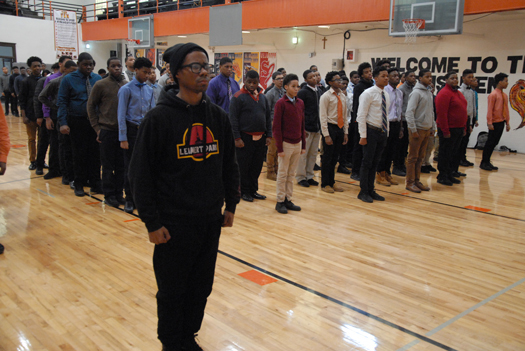 Final Call editor Richard B. Muhammad also spoke briefly to the young men March 1, sharing some of his life story and congratulating the young men for a willingness to try new things during the Hip Hop Detoxx session. Leadership is a willingness to be something different and to be uncomfortable, he said. But, he added, being a follower is the easy thing but it doesn’t always lead to the best result. 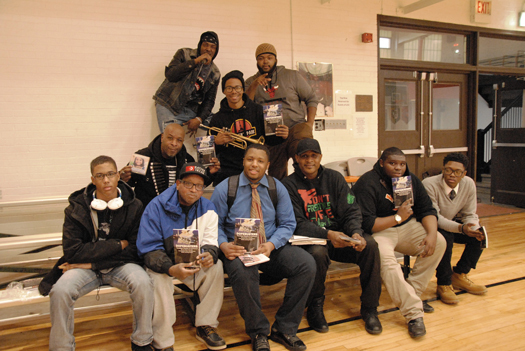 The Final Call editor also gave away free copies of his new book, “Dopebusters: Farrakhan Fanatics Or Saviours?” to young men who wanted to read it. Visit www.hiphopdetoxx.org for more information. 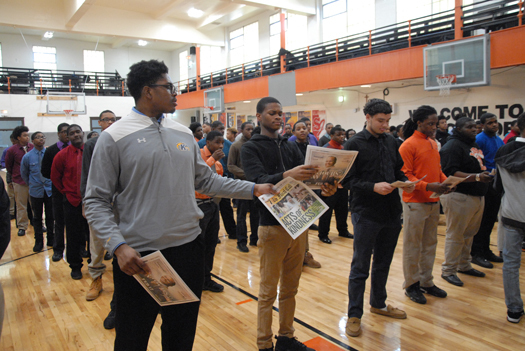 Final Call editor, Richard Muhammad, gave away free copies of his new book, “Dopebusters: Farrakhan Fanatics Or Saviours’ to young men who wanted to read it at Leo High School. Young men at St. Leo High School engaged in dialogue and Black male development.